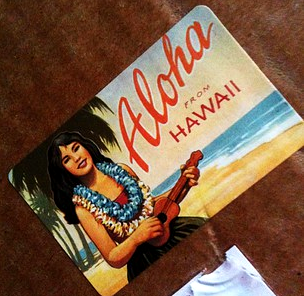 I just love the Tiki Central! it´s one of the places to go for everything tiki and it´s one of the places i go for inspiration to make drinks and you find something more often than not. Yesterday i was looking for something new to try that i could post up here as well if it was good. And so i stumbled on Blue Kahuna´s experiment with the Trader Vic´s Grog Concentrate (which i wrote about in my post “Navy Grog and Tiki Puka Puka – A taste test of grog mixers“) – and found a drink that looked like way up my alley – made by Blue Kahuna and named “The Kahuna” by TropicDrinkBoy. The Blue Kahuna – Try this . . . you’ll be in heaven . . . This is a part of a thread discussing the Trader Vic`s Grog Concentrate versus B.G Reynold´s Donn`s Spices #2. They found out that DS#2 is thicker and sweeter than the GC and that it has hints of vanilla while the GC has more allspice and is less sweet. I guess they just fit to different drinks.. Anyway i went and made me a Kahuna and it was good! 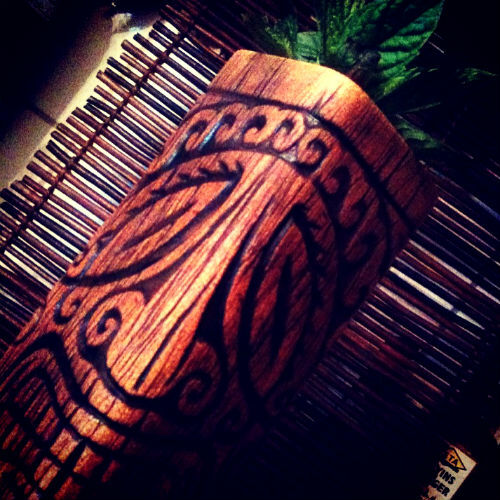 and pouring it into one this planets most beautiful tiki mugs makes it even better! The mug is the Kala mug (woodgrain glaze) made by Rob Hawes aka Tiki Rob – Tiki mug artist living on Maui and here is his website, Maui Tiki Tours. He made 10 each of 4 different glazes, all fantastic work of art! i`m so very happy i got one. Rob lives on the beautiful island of Maui with his wife and two children. 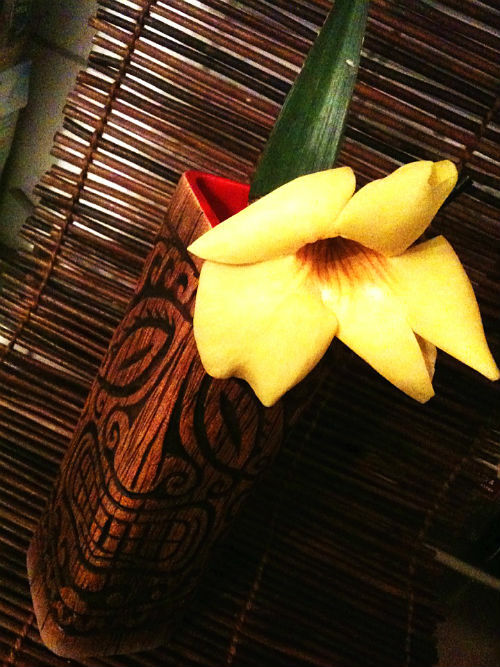 He has been collecting Tiki mugs since 2002 and making mugs in his spare time since 2009. He is always excited to meet other Tiki mug collectors, so if you are ever on Maui be sure to look him up. 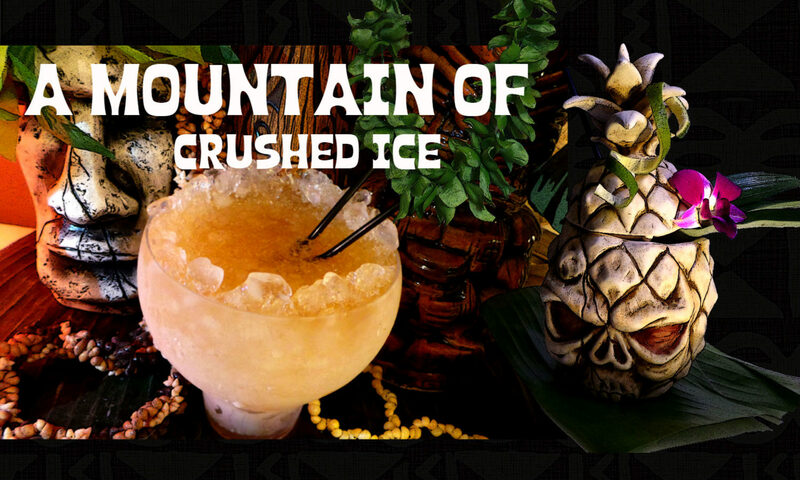 There`s no instructions in the forum how the drink should be mixed so just shake the ingredients with ice, strain and serve in a tall tiki mug or tall glass fiilled with fresh ice…cubes or crushed as you like it. 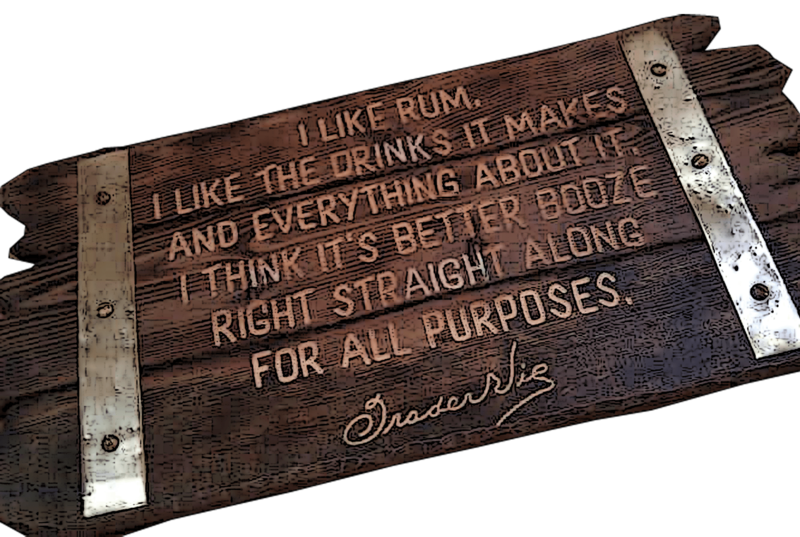 Now the grog concentrate isn`t easy to get bec Trader Vic`s only sell them occasionally to the public, they use the concentrate at their restaurants. So what to sub with? well there´s a recipe for a home made mix in my post about the grog concentrate mentioned above – or you may use allspice dram – or reduce coke and mix with allspice dram…that´s the best i can think of…. 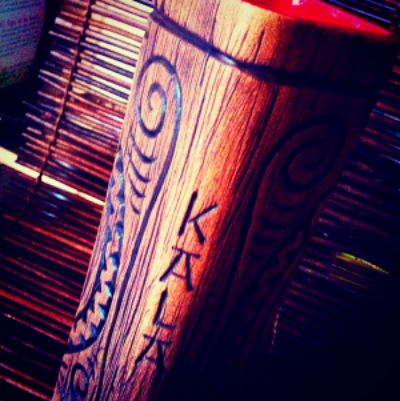 The Kahuna is very near the Smuggler’s Rum Barrel . . . The artwork on this mug is amazing! 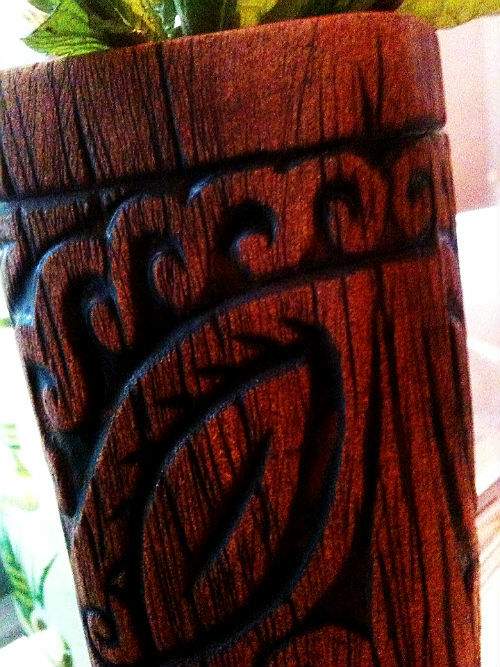 it looks like wood…but is a ceramic mug with a woodgrain glaze….And i love how the inside is bright red. How many times does this need to be said??? 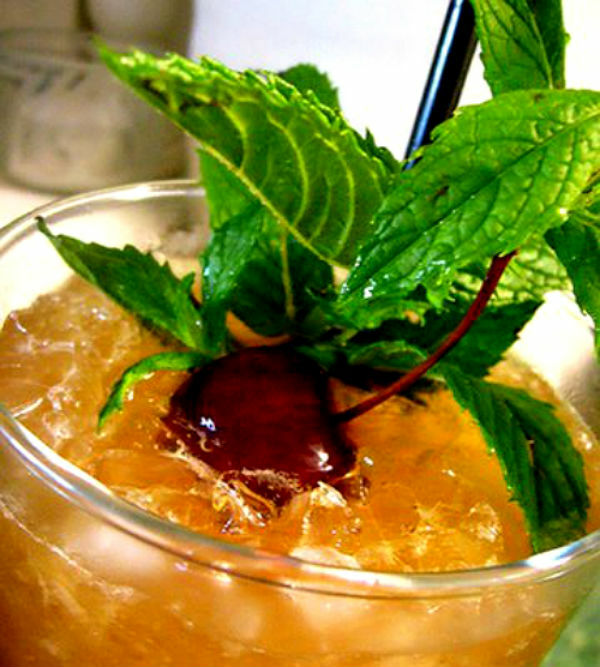 – a Mai Tai is rum, orange curacao, lime, orgeat, simple or rock candy syrup and mint! and sometimes a spent lime shell in the shaker and glass. NOTHING MORE! really!!! PERIOD. 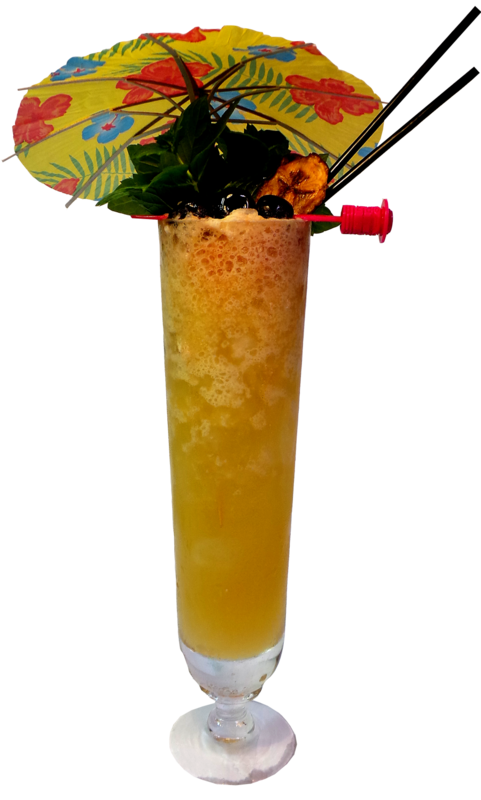 That said – it doesn`t mean you cannot make variations of it with say a Brazilian nut orgeat and call it a Brazilian Mai Tai – for example – but that`s the difference – a Mai Tai is a Mai Tai and a twist of it is another drink – like a cousin and a cousin needs a slightly different name. When making a twist, stick to the original recipe as your foundation and don`t change it so much that it´s not based on a Mai Tai anymore. In my opinion you can NOT add amaretto, grenadine, pineapple or/ and orange juice and call it a Mai Tai – call them something + Mai Tai or give the drink an entirely new name. The point I try to make is, there´s for example the Sazerac, if you added pineapple juice to it, or vanilla syrup, would it still be a Sazerac? And i`m not saying that you cannot add a piece of pineapple or cherry in the garnish either – i like cherries…But if you wanna be really a purist, it´s only mint and a spent lime shell – but NEVER go astray from the original recipe if you wanna call it a Mai Tai. There`s the Trader Vic´s Mai Tai and there`s Donn the Beachcomber`s Mai Tai which is a quite different drink to Vic´s containing grapefruit juice, falernum, pernod and angostura bitters. I`m not gonna go into the never ending debate about Vic`s versus Donn`s and there´s an excellent article on that topic in Beachbum Berry´s Remixed. 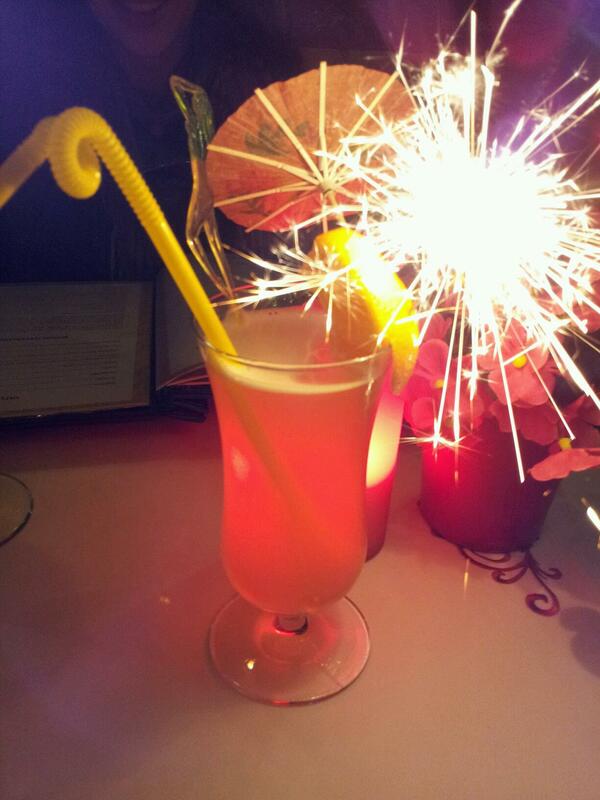 But my conclusion is that Vic´s recipe is THE Mai Tai. It`s clear that too many bars still serves various crap they call a Mai Tai, on the upside is that over the past years there´s many good bars now that actually serves the traditional Trader Vic´s Mai Tai. But the battle is still on! 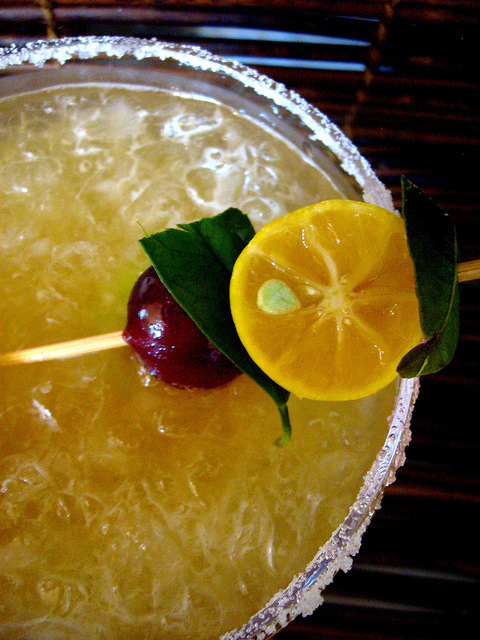 Shake everything with ice and strain into a double old-fashioned glass full of crushed ice. 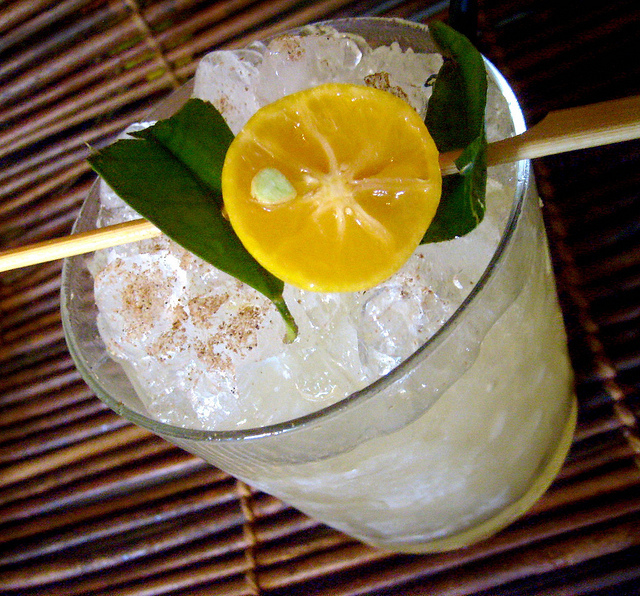 Garnish with half the spent lime shell inside the drink and a sprig of fresh mint at the edge of the glass. Place a straw or two near the mint – short straws..we want some mint fragrance up the nose don´t we? 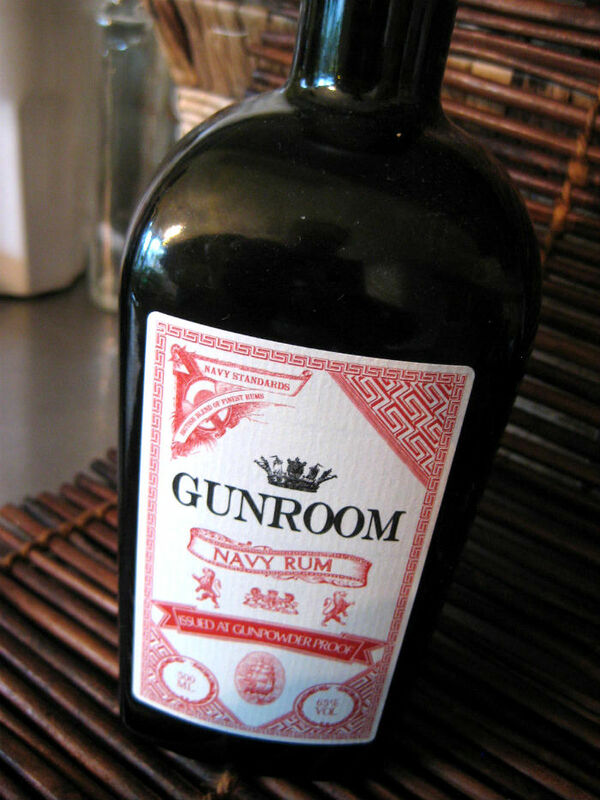 and don´t forget to spank the mint first to release the fragrance like perfume..
We all know there´s no 17 yo Jwray available anymore so instead we use different rum combos, and one common combo is 1 oz. Appleton Extra and 1 oz. 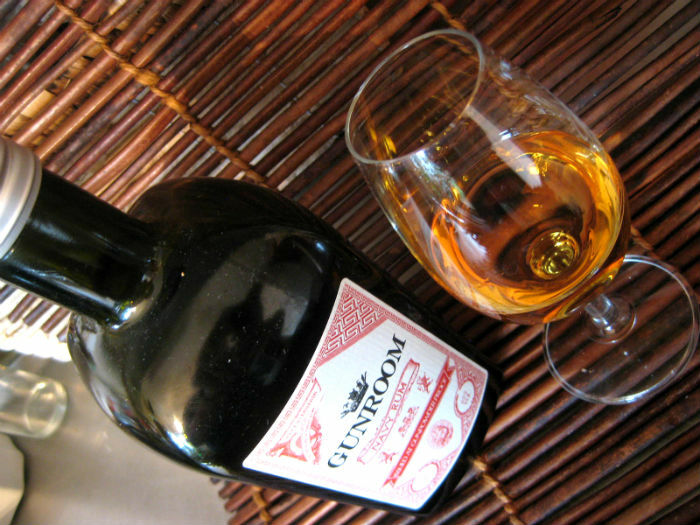 Clemént VSOP or St. James Hors d`age. Equal parts jamaican and martinique rums approximates the character and flavor of the long-gone 17-year old Wray & Nephew. Another combo i like to use is with demerara rum, either a demerara and a jamaican or only demerara, to me that is heaven in a glass and the Silver Seal 15 yo makes the ultimate Mai Tai i think. The goal here is not to try to get as close as you can to the 17 yo Jwray & Nephew but to punch it up a notch with that distinctive smoky and heavy demerara flavor. El Dorado 12 and 15 yo are perfect examples of good demerara rum. 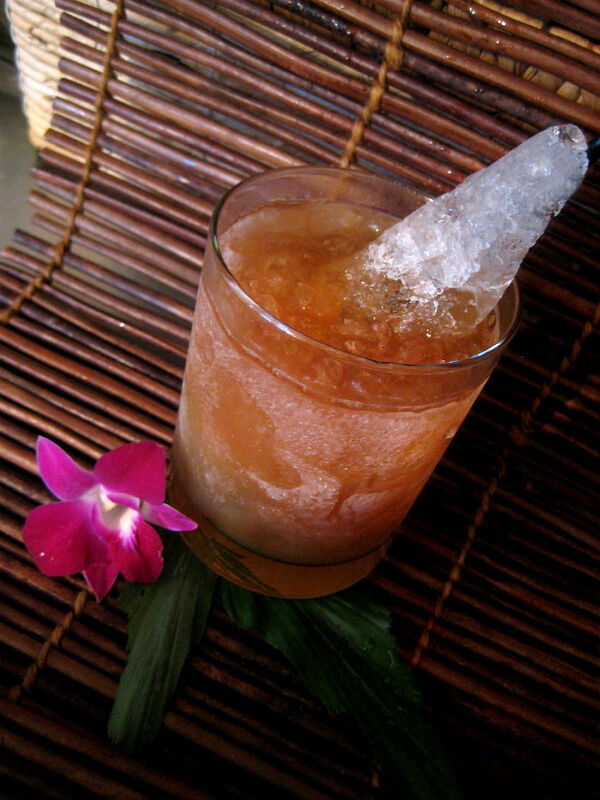 Yet another perfectly tasty combo is the “made for Mai Tai`s” Jamaican rum Smith and Cross…paired with Rhum JM VSOP. Also Coruba dark works well. 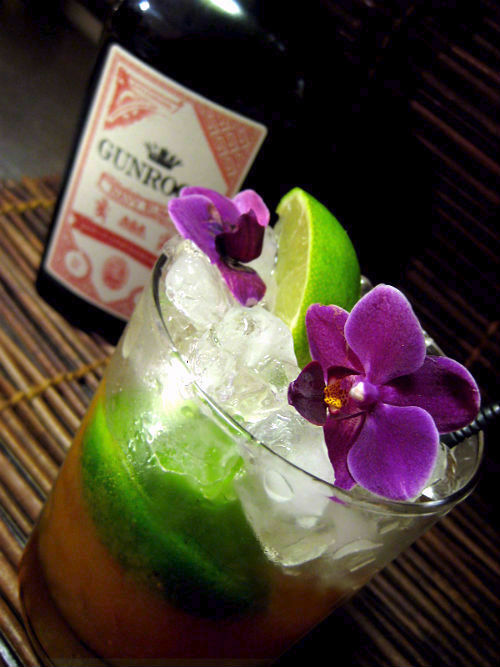 As for the orange curacao i`d recommend orange curacao from curacao or if you can´t get the original curacao use cointreau and cut it just a little bit since it´s stronger and will easily mess up the Mai Tai if too much is used. 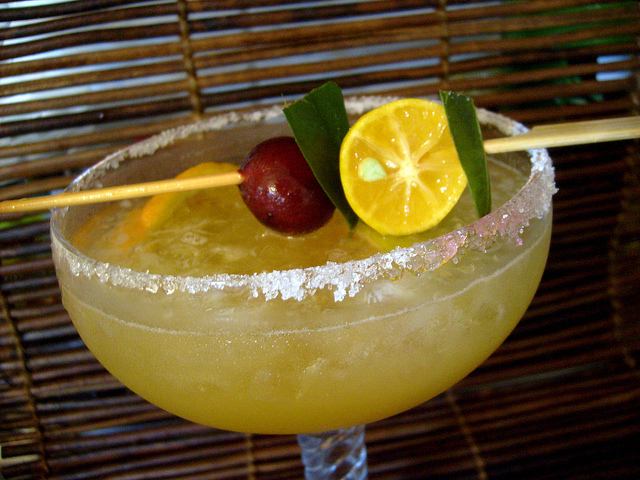 It`s not an original Mai Tai with cointreau though so try get the orange curacao if you can. Trader Vic first used DuKuyper but did actually change to Bols because he liked it better, but the original recipe always had orange curacao. More sweet and less dry and bitter and also cheap is Triple sec, but that´s not what i prefer. Also Clement Creole Shrubb works well. Mint sprig and lime shell for garnish. And in my case a cherry too since i love to snack on them when the drink is finished…preferably fresh brandied cherries that is – not the red abominations you find in a jar. Don Beach or Ernest Raymond Beaumont Gantt did invent a drink that he called Mai Tai but it never reached that fame and shortly disappeared from his menu. 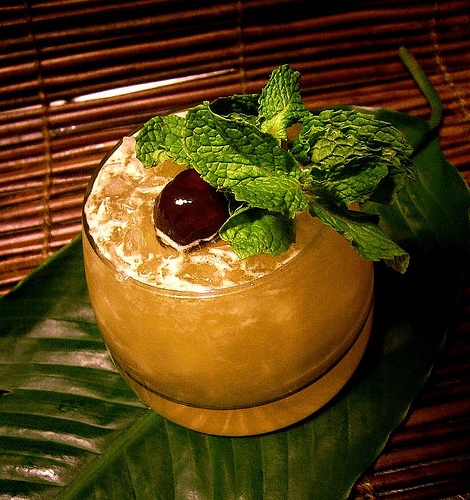 Don Beach is the man who invented many of the classsic tikidrinks like the Zombie, the Navy Grog and Missionary`s downfall, (one of my fav tiki drinks) as well as the whole concept of exotic polynesian style restaurants, known as tiki bars. Shake for 1 minute. Serve in a double old-fashioned glass. Garnish with four sprigs of mint. Add a spear of pineapple. Sip slowly through mint sprigs until desired effect results. I find this drink just a tad sour so i add 1/4 oz simple syrup to it, but that can also have something to do with how tart your grapefruits and limes are. But among the two Mai Tais i really prefer Vic`s Mai Tai, there is a reason why it was the one that gained such popularity and now is one of the classics. It has such a balance and yet is very simple. 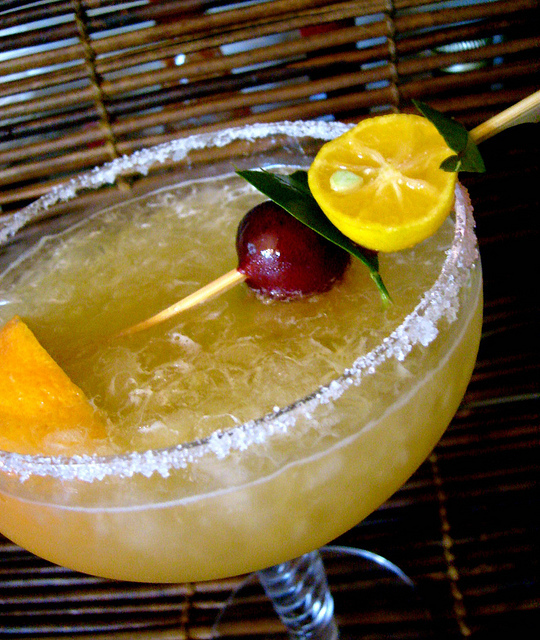 That doesn`t mean that i consider Don Beach Mai Tai a bad drink, oh no, its tasty too. I close this topic now and move on to another… in my next post i will make a few Mai Tai twists that you can make without ruining the drink by transforming it into a cloingly sweet and/or slushy “tropical” abomination.